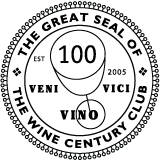 In the wine industry, the use of a zero to 100 rating scale is very common, although for all practical reasons that scale only goes from 70 to 100, with a wine rated 70 being pretty mediocre. This blog does not use the numerical 100-basis rating system, but a verbal evaluation system that is explained below. I prefer this system because I think it is easier for non-geeky readers to understand and because I think the 100-basis system has just too many minuscule nuances to clearly convey a difference between wines that are rated only one or two steps from one another. For instance, while it may be immediately clear to everyone that a wine that is rated 95 has been considered a much better wine than one that is rated 80, things get blurrier when one needs to explain the difference between a wine rated 93 and one rated 94… Does it mean that the latter is 1% better than the former? If so, then my nose and palate must be quite uneducated because I cannot tell so tiny a quality difference between two wines. Hat’s off to those who can! However, at the request of several readers, I have associated each of my verbal quality assessments with a 1 to 5 heart rating system. This gives more of a visual clue of my evaluations, which seems to be helpful to some, and at the same time it does not bog me down in splitting hair to identify 1% quality differences. I think it is a good compromise.